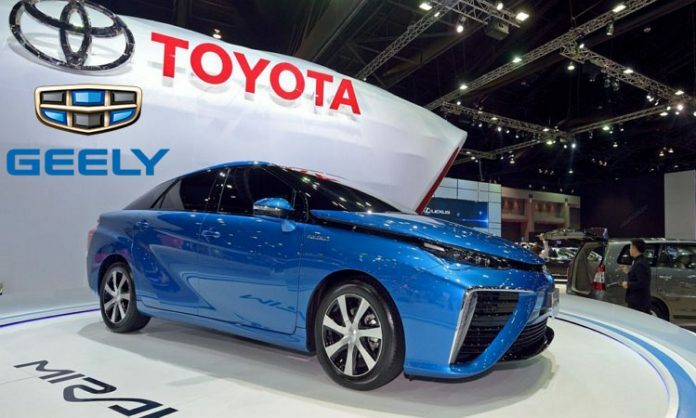 Toyota and Geely are in talks over possible cooperation in the area of hybrid technology, the automakers confirmed on Friday to Reuters. But nothing has been decided on the matter. Partnering with Toyota, a leader in hybrid technology due to decades of experience with the Prius line, could enable Geely to get a jump start in the area of electrification. The Chinese automaker already has access to hybrid technology through its ownership of Volvo, which currently offers models with plug-in hybrid powertrains. It also has a 9.7-percent stake in Daimler, parent company of Smart and Mercedes-Benz, which it could also tap. Electric cars may be all the rage right now but hybrid vehicles are expected to play a more important role in the coming decade as automakers look to reduce their emissions. This is especially the case now that many major automakers are in the process of transitioning to fully electrified lineups. Electrified cars include mild hybrids, regular hybrids, plug-in hybrids, electric cars and hydrogen fuel cell cars. For example, Toyota, which is the world’s biggest automaker by volume, has an annual sales target of 5.5 million electrified cars, or roughly half of its total sales, by 2030. Of these, only about 1.0 million will be electric or hydrogen, with the rest to be hybrids. It is worth to mention here that Zhejiang Geely Holding Group (Geely Holding) and Proton Holdings Berhad (Proton) have both agreed terms to allow Proton cars to utilize core technology platforms by Geely, as both companies have signed a new agreement recently to further extend their partnership. Geely to acquire a 49.9% stake in the former from DRB-Hicom back in June 2017, with the aim of improving Proton’s domestic market share and exploring international expansion opportunities both locally and overseas. Recently AlHaj Group, Pakistan has sign an agreement with Proton Malaysia to introduce range of vehicles in Pakistani market and later will assembler these cars in locally.